Do you have an area in your home that you consider a gift closet? If you don’t, you should. A gift closet (it could be a shelf or a storage tote) can help you save time and money through planning ahead and buying gifts throughout the year as you have extra money. 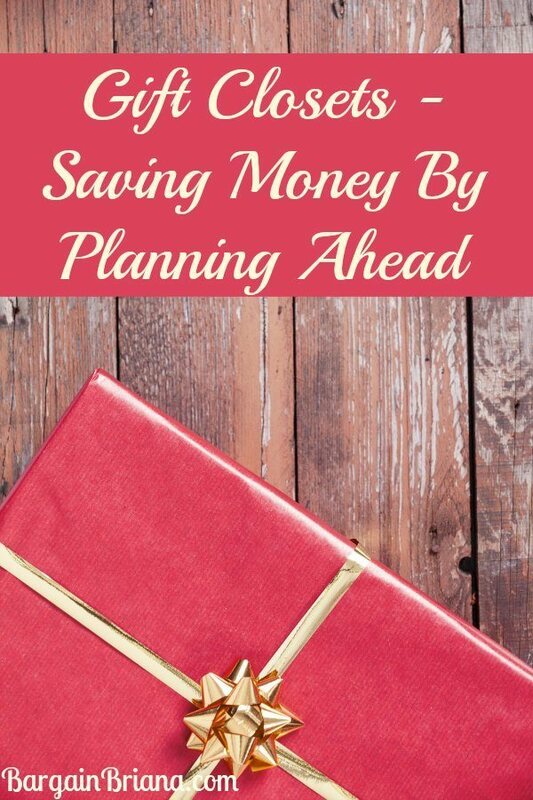 The savings happens because you can take advantage of sales, clearance prices, and even thrift stores and yard sales and can spread out your birthday and holiday gift buying across several months. Check out these tips to help you set up your own gift closet and start saving money. You can start setting up your gift closet at any time, but some of your prime shopping times will be immediately after holidays. Christmas is especially good because you will be able to take advantage of deep discounts on specialty gifts and gift sets. These can be put back for upcoming birthdays or even for the following Christmas. If you give small gifts for other holidays (like Valentine’s Day, Easter, Halloween), shopping immediately after the holiday for the next year will save you a bundle. You will be able to put back the items and be ready when the holiday rolls around again. The best part? The 75 percent or more discount you will get on the items you buy after the holiday. To fund your gift closet, set aside a few dollars every month. Even 5 or 10 dollars a month can go a long way to filling up your gift closet. Whether you shop seasonal clearance sales or you shop yard sales and thrift stores, allocating a small budget for the gifts will take the load off later on when the special occasion comes and you would otherwise be spending time and a larger amount of money trying to find a gift. No matter what you use for your actual gift closet, keep everything organized and in order so you can find things when you need them. These things do you no good if you forget about them or can’t find them when you need them. Be sure to create an inventory list as you set up your gift closet. You can choose to organize the inventory alphabetically or by occasion. Make note of when you buy the item and even the price you paid. This won’t serve any purpose except to remind you of the savings you got with the item. Setting up a gift closet will allow you to plan ahead for upcoming birthdays, holidays, and other special occasions. You won’t have to spend extra time looking for gifts and you can take advantage of sales when you run across them.